LEWISBURG — Let a T-Ross Brothers Construction crane help you with the heavy lifting. Our many years of experience with crane rental services and our range of cranes ensures that the crane you are renting is the right one for your project. Our crane operators are certified and trained in safety and efficient operation of our cranes. Our fleet is OSHA certified and our rental equipment is maintained and updated on a regular basis. 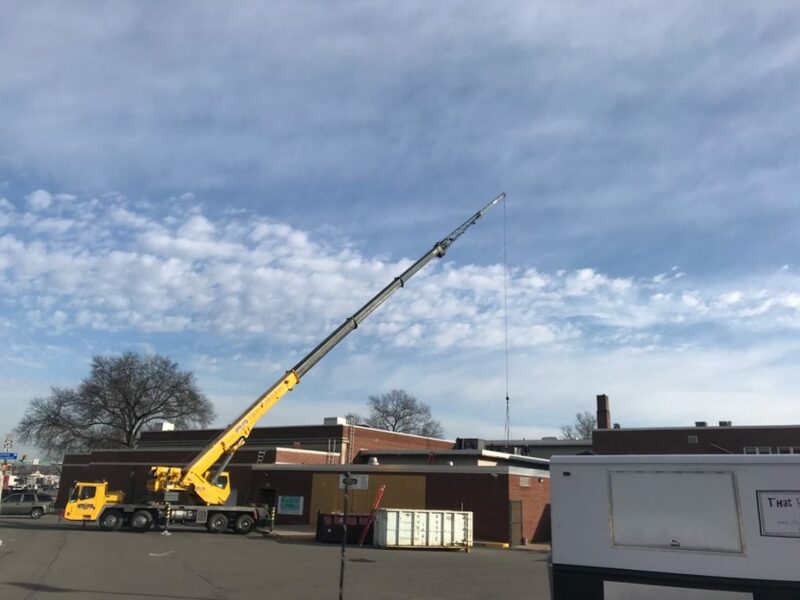 Here are some photos from a recent crane job, where we placed and HVAC unit on top of the former Lewisburg High School. The post T-Ross Brothers crane service can handle the heavy lifting appeared first on T-Ross Brothers Construction, Inc..